Ian and June and their family extend a warm welcome to their home which has been operating as a bed and breakfast for 28 years. We enjoy having guests to stay and look forward to meeting new guests and those on return visits. 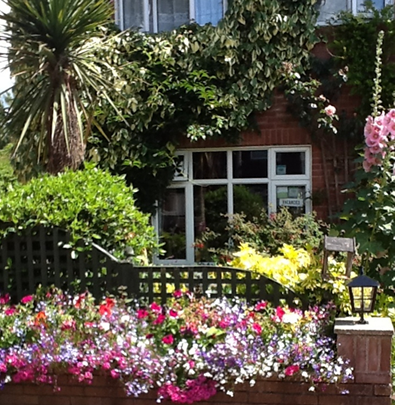 Albertine Bed and Breakfast is situated on the edge of the New Forest National Park and we are within walking distance of the Old Market Town of Lymington which was granted its market charter in the 13th Century. The market is held every Saturday and can be found lining both sides of the Georgian High Street which leads down to the cobbled street and Quay with views of the fishing boats. We can arrange or give advice on fishing and yacht charters courses, horse riding, bike hire, deep sea diving and escorted trips around the New Forest with an experienced ranger. We are fortunate that guests without transport have access to a good bus service which has bus routes to both Bournemouth and Southampton and a limited National Coach stop, a heritage line railway station with links to all major networks and the New Forest Tour Bus (May to September) with its hop-on-hop-off service which also carries bicycles. Puffin cruises offer trips around the Solent and the Needles and sails from the Quay. St Barbe Museum and Art gallery in New St can offer advice on the history of Lymington with dates and times of the popular Town Walks,local events and opening times for our Community Centre and small cinema. On this site we have provided some information to help you to plan and enjoy your visit and we hope you choose to stay with us.